Winter Rayne-Skye, almost 2 years. 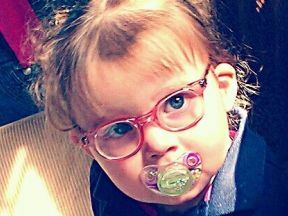 She wears glasses for farsightedness. Hers are pink though not clear.